I have one word for you today: w i l d . Wild print of course! So, here I am wearing a casual print on print outfit + a shot of color with this statement cuff (thanks to Cooee.se) and my new Chanel espadrilles. Leopard prints paired with black and neutral colors are a real hit in my list. I hope you like it and I will like to hear your opinion! P.S See you tonight: Allison Raff and Spoonful Of Diamonds at the Opening Ceremony event in New York! You are the winners of the Opening Ceremony and American Express contest. Love the way you match colors! And that bracelet is stunning! 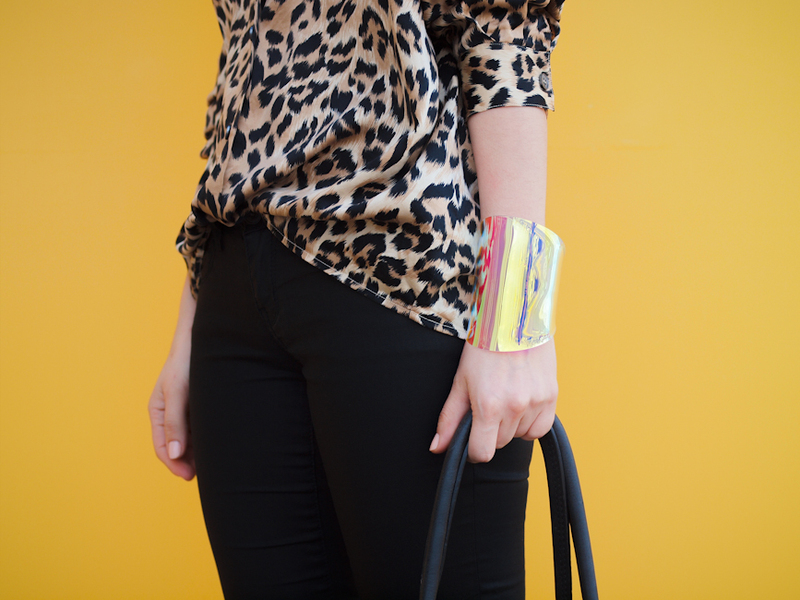 Love the mixed prints and that Wonderwoman cuff is AMAZING! Love how it changes color & is such a focal point. I always love a good leopard print and this one is perfect – that cuff is gorgeous! 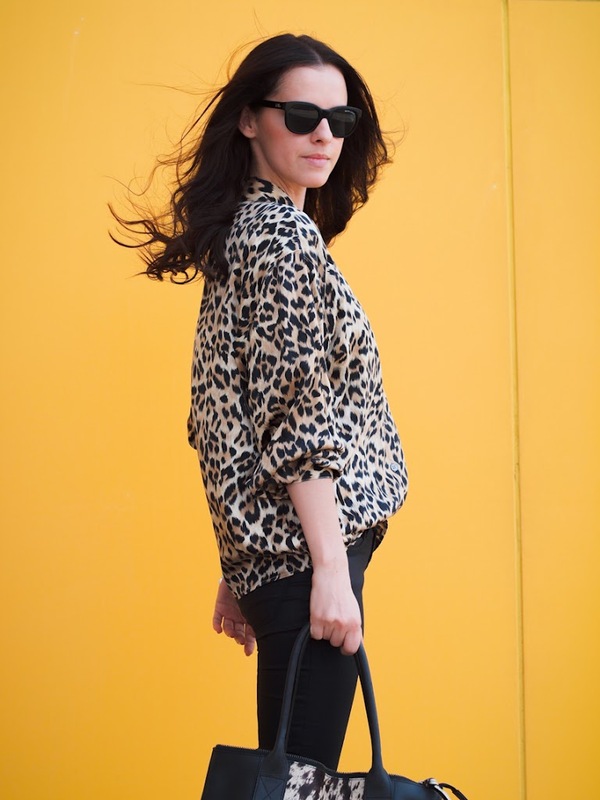 Leopard my favorite print… And those espadrilles….yum! I love this leopard blouse. Such a great look! can’t explain how much im loving the new espadrilles, they really make the outfit!! Very pretty outfit! Love the leopard print top! Looking very cute as always! In love with that bracelet, it’s so gorgeous! Great post! Giovanna Battaglia is simply perfect! Stunning look! I love leo prints.